The Craig Hospital Foundation will participate in Colorado Gives Day onTuesday, Dec. 9, 2014. Presented by Community First Foundation and FirstBank,Colorado Gives Day is a 24-hour period to “Give where you live” by making online donations to the hundreds of charities featured on Community First Foundation’s online giving resource,ColoradoGives.org. As a profiled charity on ColoradoGives.org, the Craig Hospital Foundation will benefit from this initiative. In 2013, generous donors gave $151,703.97 to Craig Hospital on Colorado Gives Day. This was a 553 percent increase over the amount raised in 2012. Craig’s goal is to raise $160,000 in 2014. “We are pleased to be a part of Colorado Gives Day again this year, as this initiative helps raise awareness of the incredible work we do and provides valuable support for individuals and families experiencing spinal cord or traumatic brain injury” says Amy Farnan, director of Annual Support and Sponsorship. Through the generosity of the Community First Foundation and First Bank, Colorado Gives Day 2014 features a $1 Million Incentive Fund. Every nonprofit receiving a donation on Colorado Gives Day receives a portion of the incentive fund, which increases the value of every dollar donated. 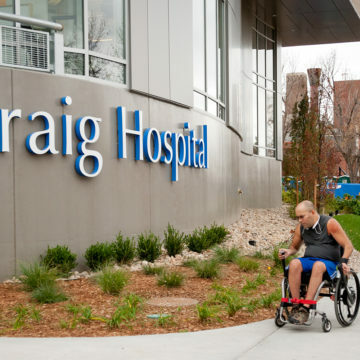 For example, if Craig Hospital receives 10 percent of the total donations made on Colorado Gives Day, Craig also receives 10 percent of the $1 Million Incentive Fund. To give to Craig Hospital on Colorado Gives Day, visit https://www.coloradogives.org/CraigHospitalFoundation. Starting in November, donors will have the option of scheduling a one-time donation for Dec. 9, Colorado Gives Day.